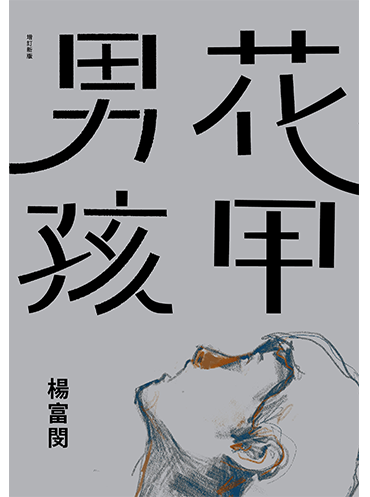 Yang Fu-Min’s breakthrough collection of short stories, rich in narrative color, tells tales of those who seek and do not always find. A “prodigal” son who leaves his rural home to study and build a career holds the dream of returning in his heart; a father who lost his son to a car accident becomes a bus driver in order to transport children his son’s age safely to and from school, yet in the end remains alone; an elderly woman, whose dying husband had many long-term affairs, rides her pink bicycle into town in order to pray for his soul. Yang mixes Mandarin Chinese, Taiwanese, and internet slang in a highly experimental narrative that shines like a kaleidoscope of image and experience. The term “stream-of-consciousness” doesn’t quite describe the unique integration of absurdity, whimsy, and empathetic description that defines the work. These nine short stories of contemporary Taiwan earned the praise of renowned author Pai Hsien-Yung, who states in the book’s preface that Yang Fu-Min is filling the shoes of Huang Chun-Ming and Wang Chen-He as the new voice of local fiction in Taiwan.